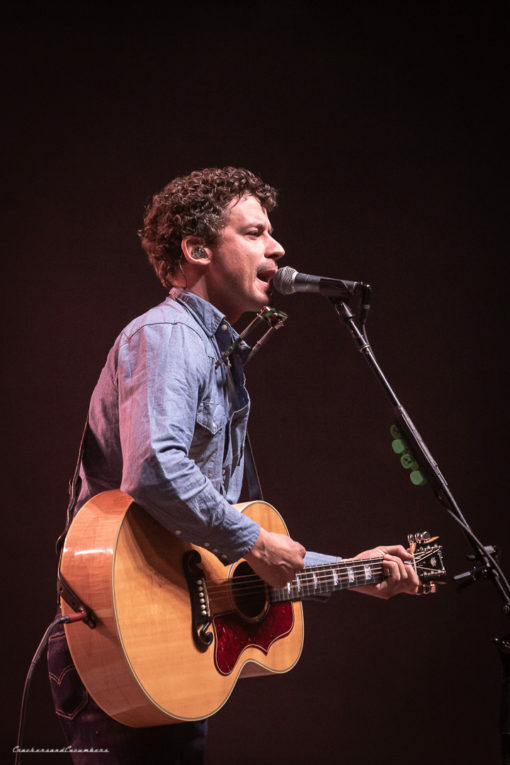 The words of Taylor Goldsmith rang out late into the Turnpike Troubadours’ set Saturday night at Waco’s Extraco Events Center, a cavernous mid-century arena that has hosted everything from Elvis to Monster Jam to rodeos and Rodney Carrington over the years. 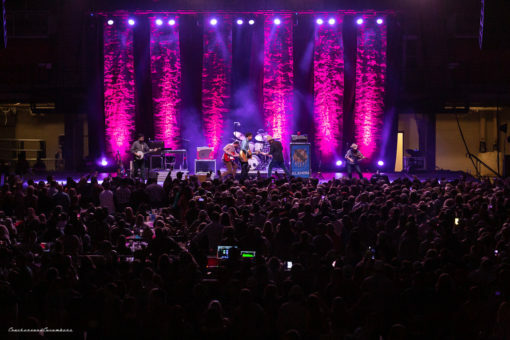 The main reason many folks were there on this night was to see the return of Turnpike. The one person not onstage when bassist RC Edwards sang this song had been the focus of everyone’s attention and expectation for weeks, if not months. In introducing the song, Edwards said “How you doin’ Waco? 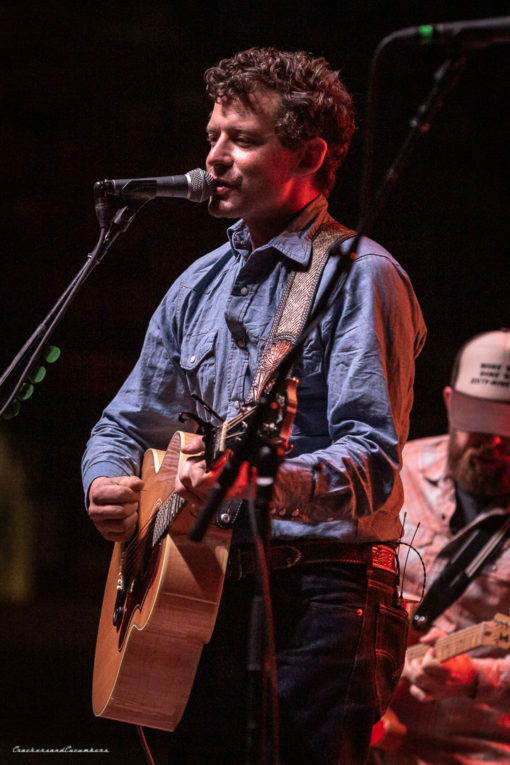 It’s good to be here…it’s good to be anywhere.” Evan Felker had performed “Diamonds and Gasoline” acoustic accompanied only by steel guitar player Hank Early on a dobro on the song prior before making his exit to let the band shine without him for a tune. The overtones were ominous and the vibe dark during this moment, but by the time Felker rejoined the band onstage for “Long Hot Summer Day” all was right with the world. If a statement regarding the band’s future was being made, it was brief. The band was staying together…for now. After opening sets from Parker McCollum and Britt Kerr, the Troubadours hit the stage a little after 10:30pm and didn’t let up until just before midnight. McCollum in particular delivered a rousing opening set that had the early arrivals pumped and singing along. He gave several deferential shoutouts to the Turnpike Troubadours and a pall of anxious energy hung over the entire arena. Conversations in beer lines and bathroom stalls all revolved around if Felker would show up, if he’d be in a good frame of mind, if he’d be affected by the Miranda Lambert marriage news and on and on. The house lights dimmed and the entire band strode confidently strode onstage led by fiddler Kyle Nix. After some standard hemming and hawing and tuning, during which many in the crowd were shouting enthusiastic encouragements, the band kicked off the set with “The Housefire”. Ryan Engelman’s tele cut through the thick air of anxiety as Felker struggled to match the intensity and energy of his bandmates who all seemed extremely relieved and excited to be onstage. But, then it happened. You could see the empowerment and relief wash over Felker’s body language like a wave crashing into the sand. He looked around at the guys, smirked and seemed immediately at ease the moment that first song ended. “How ya doin’ Waco? Give it up for Parker McCollum!” And with that, Felker cast gazes at Edwards and Nix as they assembled behind their mics to deliver the acapella opening strains of “Every Girl”. In the brief seconds after that intro and the first verse, Felker smiled throughout. He was gaining confidence with each lyric. He made constant eye contact with many in the crowd and smiled and waved throughout the show. People continued to shout things such as “We love you Evan!” and “Kansas City Southern!” Felker seemed genuinely humbled and amused that people care that much. As usual, Nix and Engelman kept the show moving with their fierce virtuosity and joy. Edwards adeptly plowed through the lowends with drummer Gabe Pearson. Early utilized his talents in various manners and the whole Turnpike machine rolled on through the show like it has never hit a speed bump. In fact, if one had not known there had been all sorts of recent issues, one would still not know. 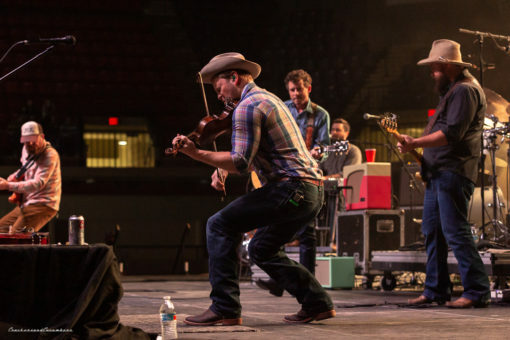 The Turnpike Troubadours are the best country band in the land when firing on all cylinders and one of the biggest spectacles in country music when not. Thankfully for them, and all the rest of us, all signs point toward the former rather than the latter. May all our favorite bands stay together indeed. God bless Evan and the guys. They are indeed the best band going today and I hope for both personal and professional contentment for them all! I saw them here in Vegas in December and they BURNED. Awesome. This is an excellent write up. Thank you!! Evan Felker is a gifted soul. Continued prayers and encouragement! Will you see you guys Houston!!! Previous PostPremier: Austin Meade – “Growing Pains"